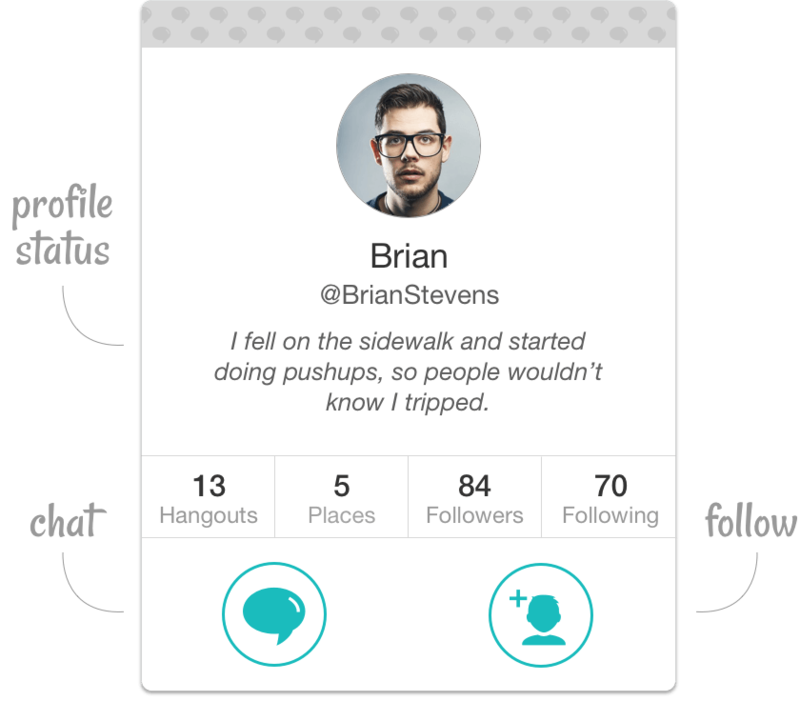 Find out what’s up & who’s up for it. 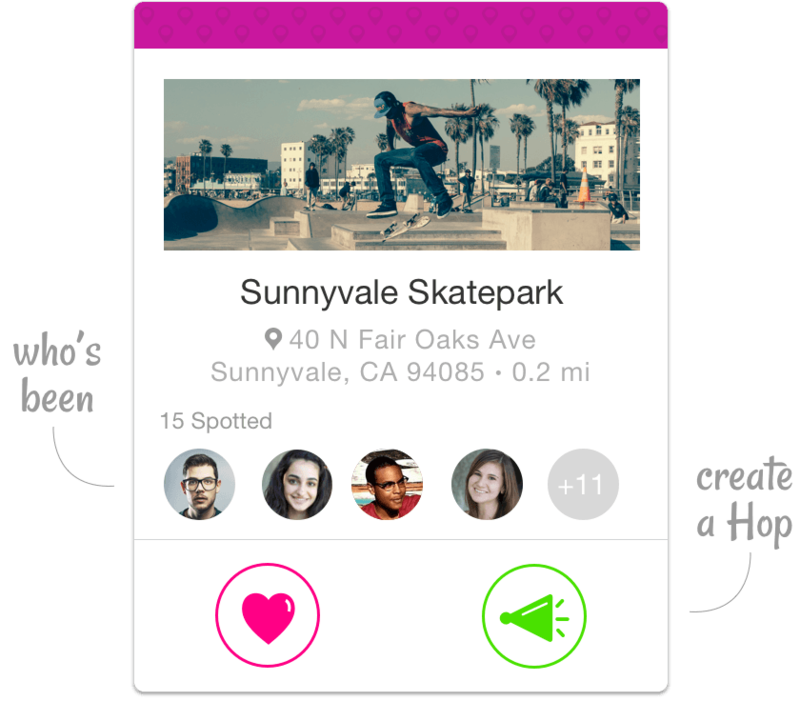 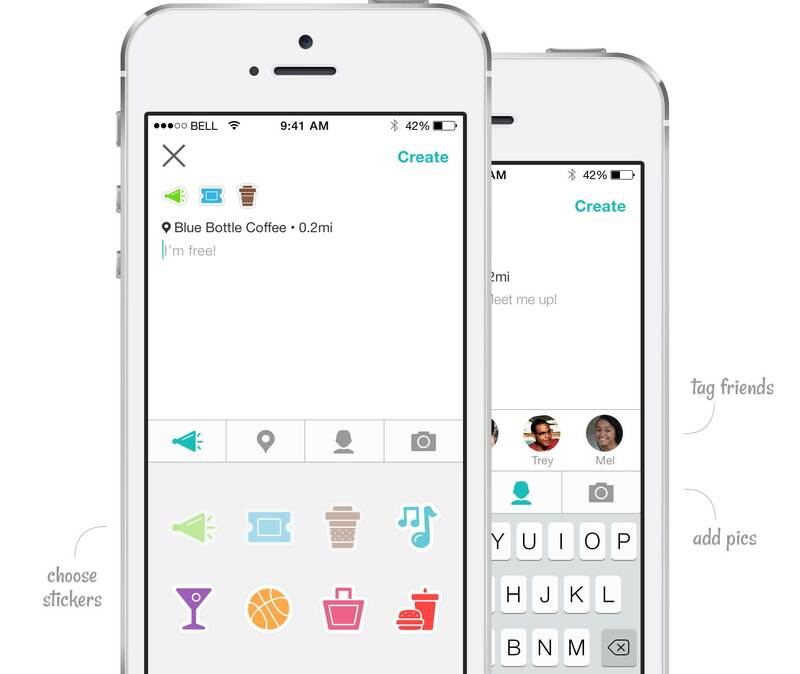 See where your friends are and message them to see what they’re up to. 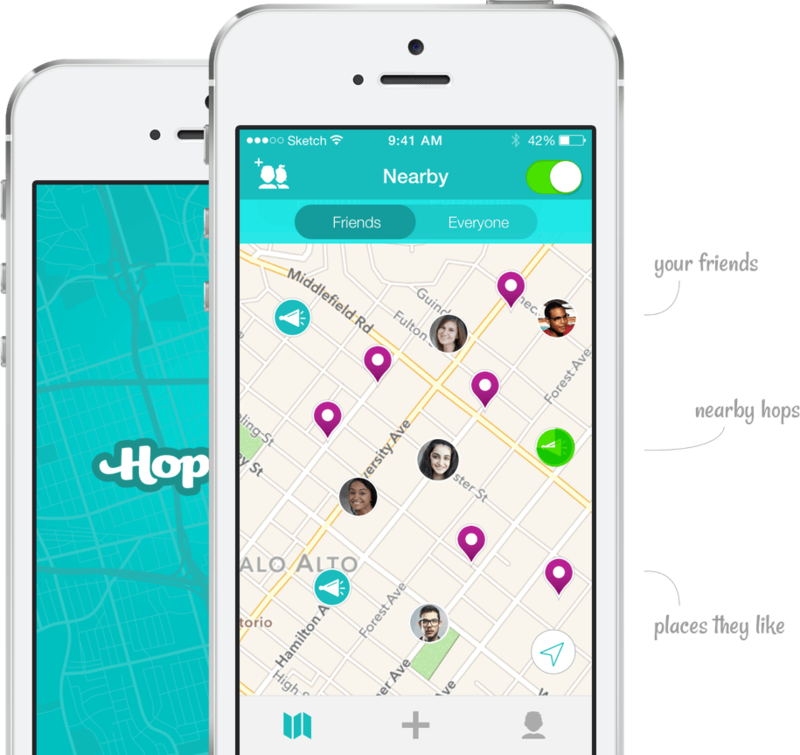 Let your friends know you’re free by making a Hop. 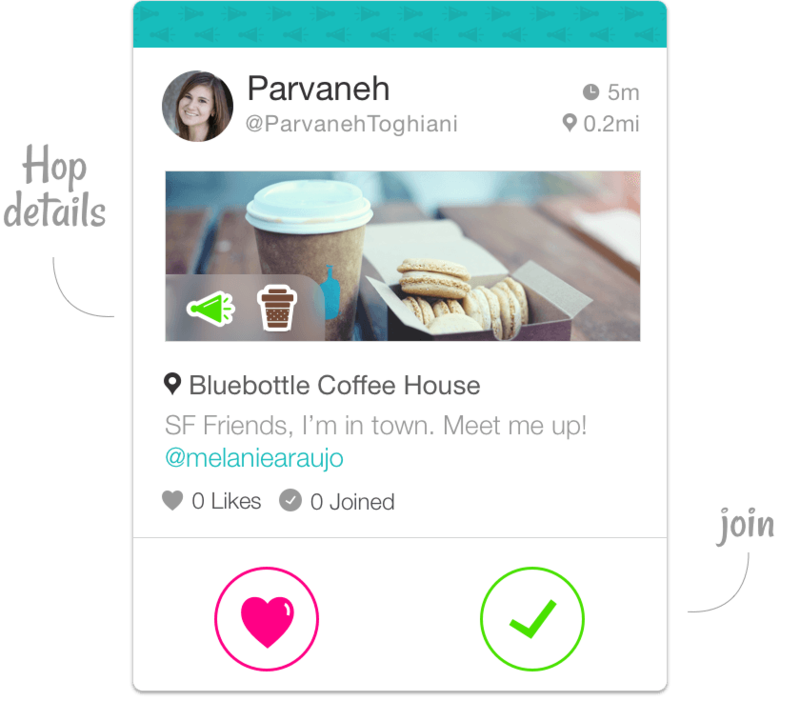 Or join and like your friend's hops.